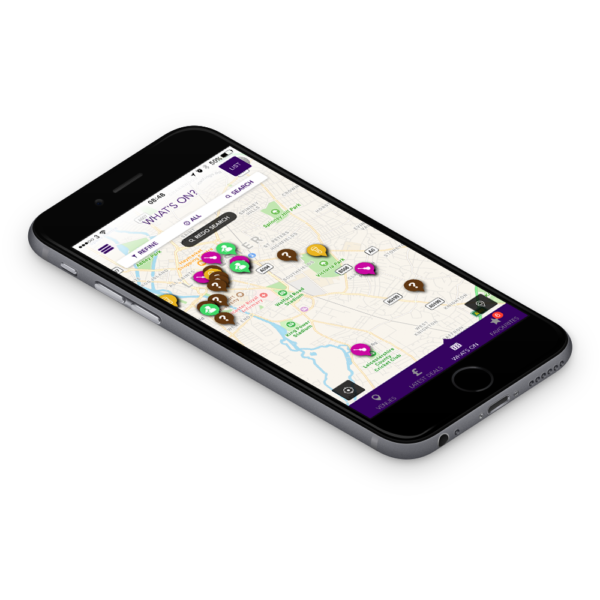 The app is developed around a core map showing all local venues, deals and things to do in the user’s current location. The beautiful interface allows users to search by category, event type or a simple generic search. Users can quickly favourite venues allowing them to keep up to date with their preferred deals and events as well as find new places to go, incentivised by deals and popular events such as pub quizzes, happy hours and karaoke. Once a user has found the perfect place to go the user has the opportunity to order an Uber direct from the app, or bring up a list of local taxis nearest to them. The app also provides directions to every venue and allows users to share their plans with friends with a few taps. One of the main issues we faced with this application was that the app is completely useless without quality data. We solved this by developing a bespoke data collection engine that regularly crawls social media to collect relevant information and rewrites it into an easily readable format. From our own experience, there is always something to do but the time taken scouring social media can be a real hindrance. As well as using our social media crawler, we also allow venues to quickly claim their venue, completely free of charge. We managed this by a variety of methods such as automated email or telephone verification. On top of this if a user is logged in via Facebook we can identify whether this user has access to a particular venues Facebook page, allowing for one click validation. Once validated, venue owners or promoters can update venue information, add deals and events and target users within their local area. Our intuitive deal & event administration system allows users to add deals and events within 30 seconds. A third data gathering method used is crowd sourcing. There are several options in the app for users to be able to add anything missing or report any incorrect information already on. This can be done as easily as selecting your nearest location and sending a picture of what’s on, or just a few lines of text. This information is then passed to the administrators who have a separate app for quick validation. The management app is to make sure anything suggested by a user is quickly added, removed or edited. When any crowd sourced information is uploaded a notification is delivered straight to all phone with this app, where it can be quickly rectified. This allows an an admin to change any incorrect or missing information on Out Tonight in seconds. This app has been created on both the IOS and Android platforms as well as a website where users and businesses can experience the same functionality.